The interior of the church of San Felice. 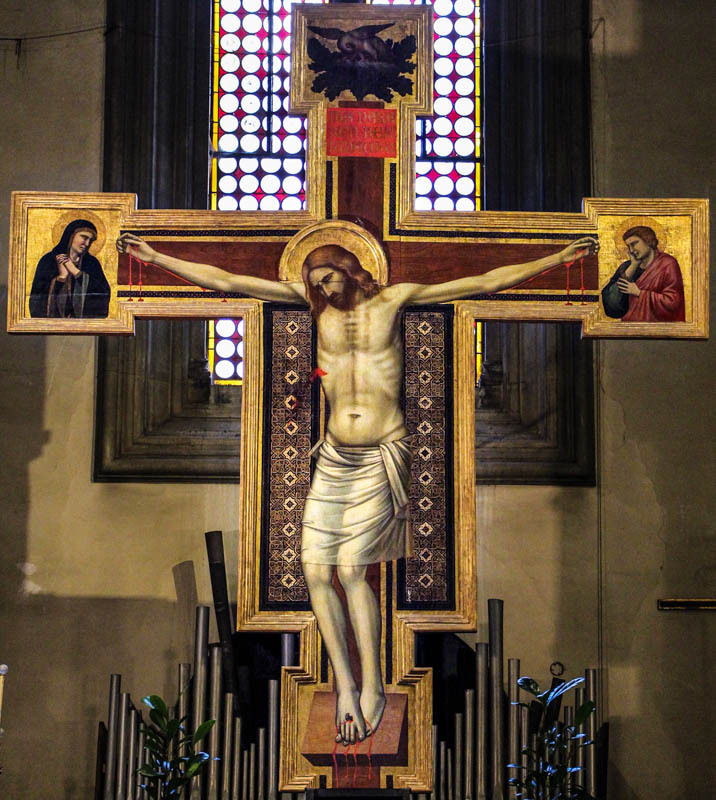 The Crucifix by Giotto and/or his workshop. This tiny Gothic church just south of the Pitti Palace sports a modest High Renaissance facade by Michelozzo (1457) and a painted Crucifix over the high altar recently attributed to Giotto and his workshop (though some art historians still sniff that it was painted by his workshop or followers only and that the master himself never touched it; still, it's a nice piece). Also peek at the remnants of Niccolò Gerini's early 15th-century Pietà fresco over the first altar on the right. 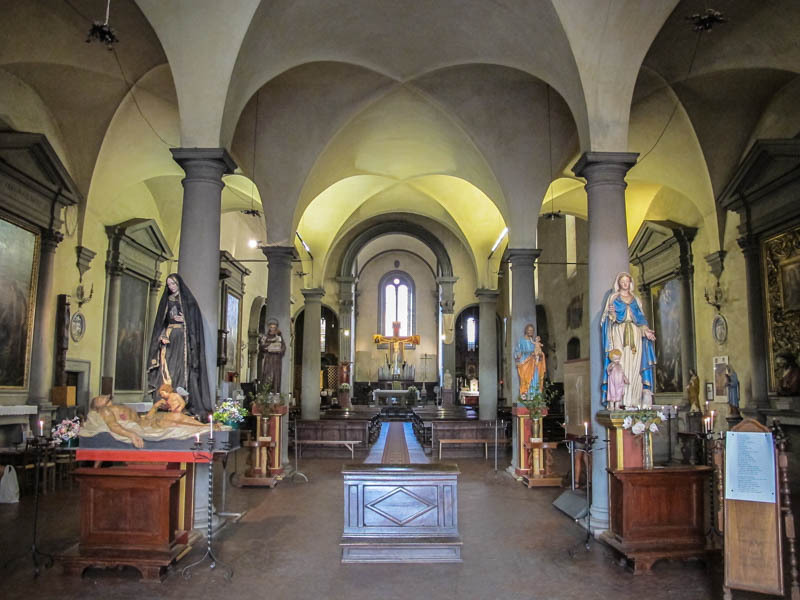 Other Gothic greats with altarpieces and frescoes in this little church include Neri di Bicci (a triptych on the sixth altar on the left) and Bicci di Lorenzo. 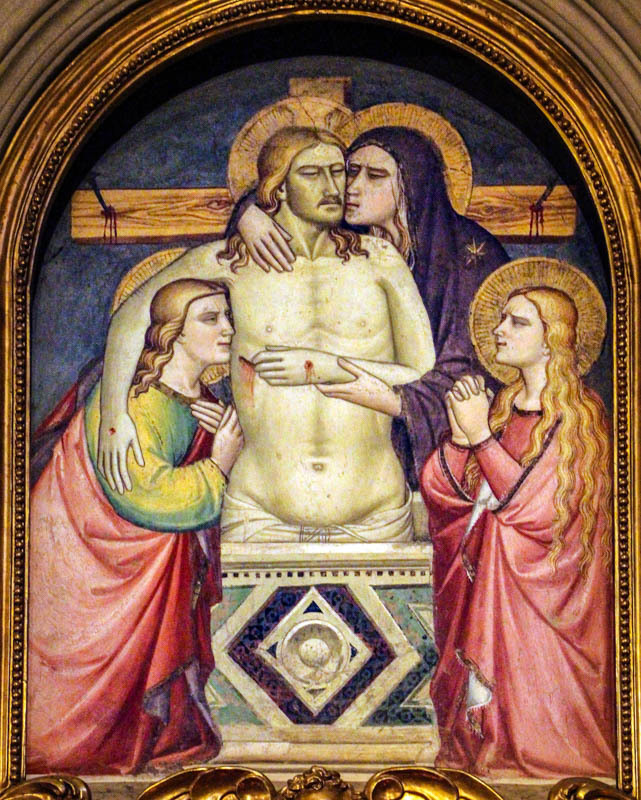 The Pietà by Niccolò Gerini (or possibly Gherardo Starnina). The church is perhaps most famous for its shout-out from Elizabeth Barrett Browning in her poem Casa Guidi's Windows—which she wrote she she and Robert Browning lived across the piazza. How long does San Felice take? Planning your day: The church really does only take about 20 minutes. Still worth popping in.